With Coffee Giant Starbucks saturating the market by openingย more and more stores, so it is important for coffeeshops to get the word out about their business and building a website is possibly the most efficient way to increase their popularity. Once you have decided on building a website your next step would be to find a suitable template for you to build your website around, however this can be difficult due to the plethora of themes out there designed specifically for Cafes and Coffee shops. 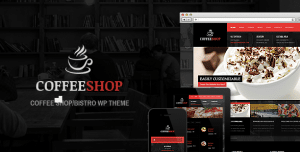 We here at WP Carers decided to help you out with your search for the right theme by putting together this list of 7ย WordPress Coffee Shop Themes. 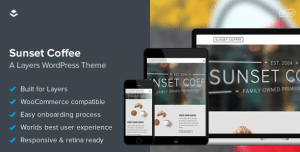 Sunset Coffee is an elegant WordPress Coffee theme that allows you to feel right at home with the simple layers. It has a masonry and grid layouts that allow you to display your coffee and products in a really professional feel. It comes with great modern looking social media buttons built into the footer that allows users to share your store onto social media websites. 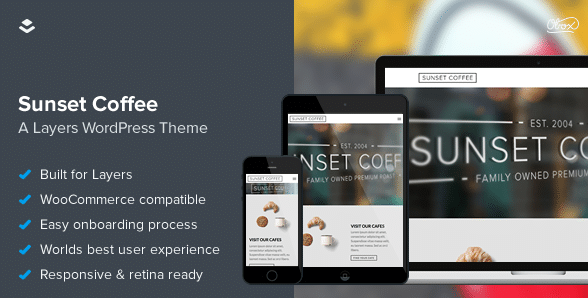 The Sunset Coffee template allows you to embed videos into your website in a tidy way. 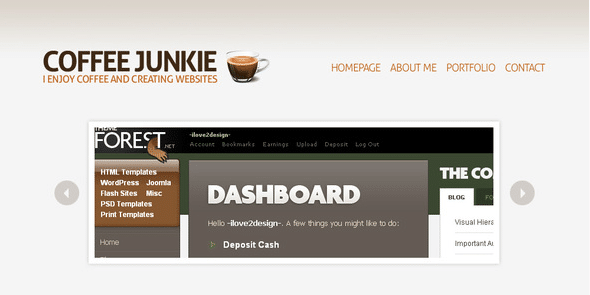 Coffee Junkie is a Modern and professional looking theme that is highly customizable and can be manipulated to look however you like it. Itย has a range of different Sliders and image galleries that you can display on your website. It also has brilliant “back to top” buttons that can be inserted periodically throughout your websites without hurting the aesthetic design of your overall website. Coffee Shop is a user friendly template that has a 2 minute installation process so you can get your website up and running in no time. It comes with shortcode snippets that allow you to choose between a number of buttons to display on your website. It is a mobile responsive theme and will resize to fit on any device screen. It has a Contact form included as standard so your customers can give you feedback directly through the website. Mocaccino is a highly customizable WordPress Coffee theme that allows you to change every elements Styling options with the need of any CSS Knowledge. It is fully compatible with WooCommerce so you will be able to sell products directly from your website. This template also makes it really easy for you to easily create menus that can be catagorized and displayed in a really nice way. It has Parallax aspects which gives you a professional look and feel. 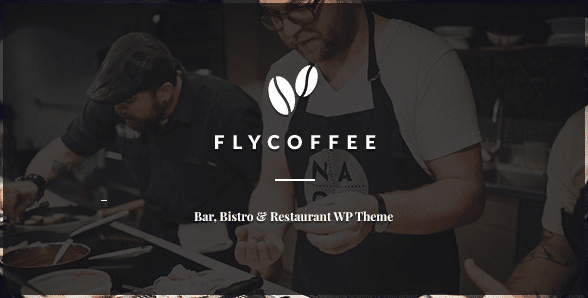 FlyCoffee is a mobile responsive Theme Designed specifically for Coffee shops using HTML5. The Theme is easy to use and set up with its one click demo installation.ย One of FlyCoffeeโ€s big feature is drag and drop visual builder which lets you easy to create pages for your website, custom sidebars and many custom options also lets you to built great and flexible pages. It uses the Bootstrap Grid System giving your website a user friendly layout. Verona is an attractive and easy-to-use responsive WordPress theme created especially for restaurants, bakeries, bars and coffee shops. 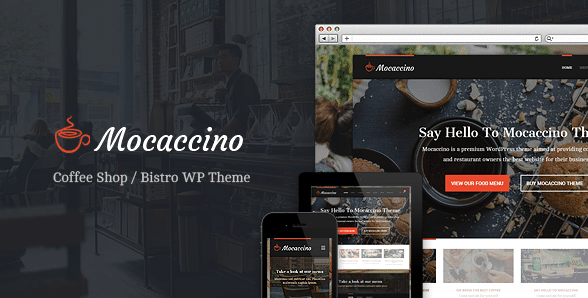 This is a really simple to use theme that comes with a responsive Lightbox for food and coffee menus. The template is Translation Ready so you can display your website in a number of languages. 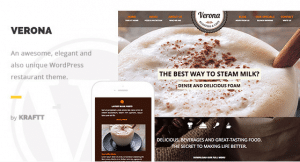 Verona is coded using HTML5 and CSS3 giving your website a modern and professional appearance. 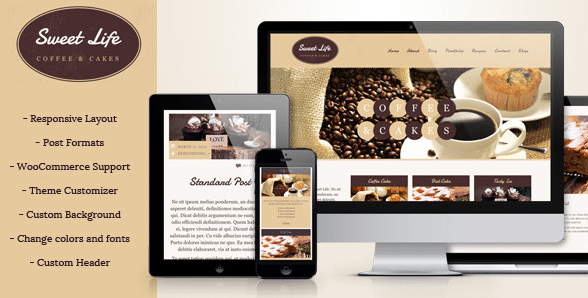 Sweet Life is an easy to use theme with responsive layout that looks great on any device, big or small. It isย a great template that is compatible with all the top internet browsers such as Chrome, Safari, Opera and Firefox. It is also mobile responsive and will look great on smartphone tablet or desktop. The theme comes with a built in product rating feature that allows you to display 5 star ratings under your products on your menu.